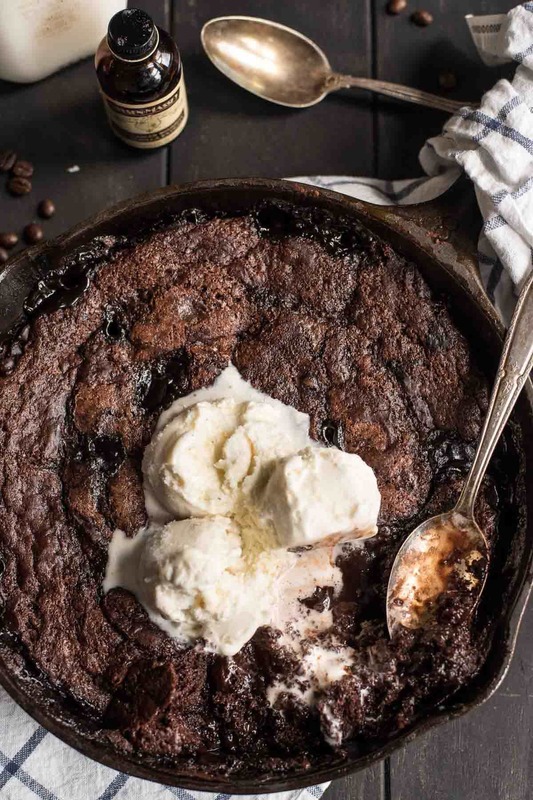 Rivers of molten mocha chocolate sauce bubble up around this easy Chocolate Cobbler. It’s perfect for Valentine’s Day or any weeknight you need a serious chocolate fix! The past few weeks I’ve been reading Shauna Niequist’s book, Bittersweet. It’s been a fitting book for this season in my life where the beautiful and hard and hilarious are all so tightly woven together it’s tough to tell them apart. At one moment I find myself desperately rocking a fussy and flailing baby, willing him to fall asleep. Then, all at once, he is out, and I am overwhelmed by the sweetness of his weight resting against me, his mouth open and drooling, a chubby hand draped across my chest. Then there are the giggle sessions that end with spit up in my hair or the middle of the night feedings, which are an odd mix of utter exhaustion and overwhelming tenderness. Parts of motherhood are difficult (<<that’s the greatest understatement of the year), but I wouldn’t trade it for anything. The desperate moments are growing and changing me, teaching me about grace and patience and my utter dependence on God to sustain me. A little bit of bitterness makes me thankful for the sweet times, and makes them all the more meaningful and rewarding. This idea of bittersweet is, of course, stolen from our descriptions of food. There’s a reason I add a squeeze of lemon juice to my Sour Cream Cheesecake and brewed coffee to The Best Chocolate Bundt Cake. That hint of bitterness adds complexity and richness to dessert. It makes the sweet stuff even better. 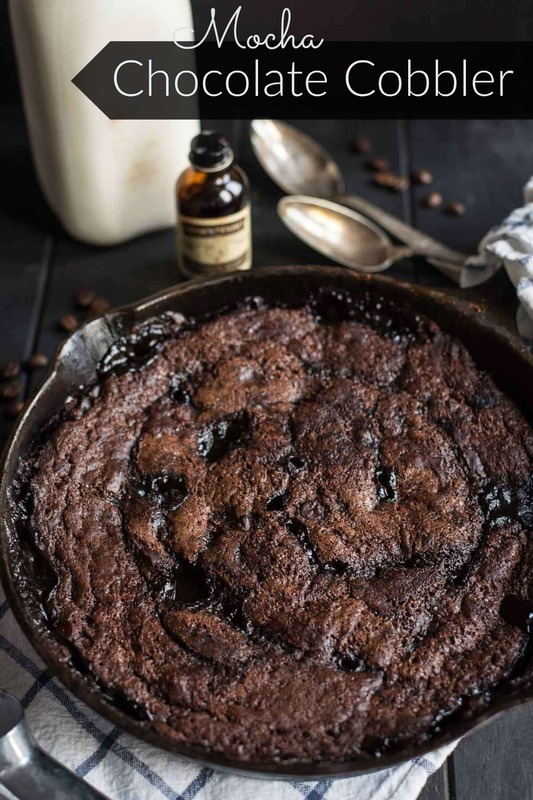 This Mocha Chocolate Cobbler should be the poster child for bittersweet desserts. 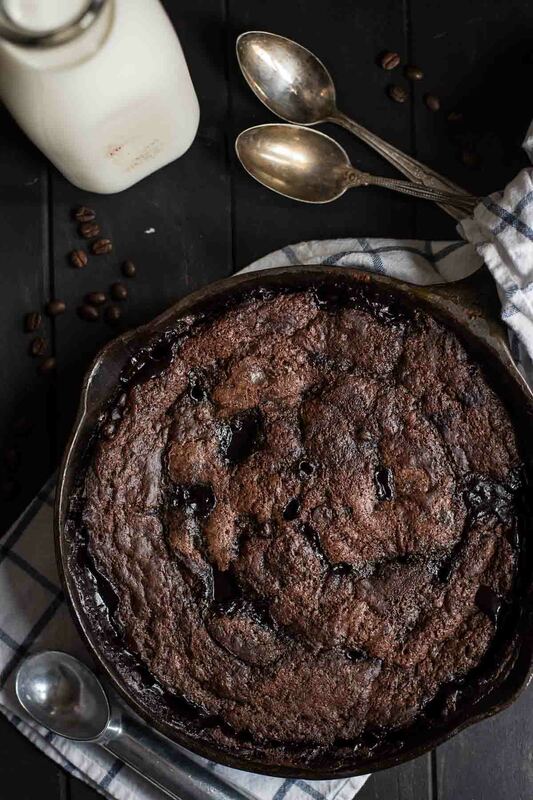 Unlike fruit cobblers, chocolate cobbler is made by pouring hot water over a very simple chocolate cake batter right before baking. In the magical space of your oven, this strange concoction is transformed into a fluffy chocolate cake with molten rivers of chocolate sauce bubbling up all around it. It’s kind of like a built in chocolate brownie sundae (<<<amazing). I’ve had chocolate cobbler in the past, but it was always a little too sweet for me. For this version, I used Nielsen Massey’s coffee extract and Madagascar Bourbon Vanilla Extract to round out the flavors. The coffee extract, which can be used in place of espresso powder, brings balance and compliments the chocolate so well. And of course, nearly every dessert benefits from the added dimension and nuance of pure vanilla extract. For the grand finale, I replaced the hot water with hot coffee to give this whole dessert a mocha-like flavor profile. Basically, you’ve got a rich chocolate cake surrounded by puddles of mocha chocolate lava sauce. This rich, sultry, dark and brooding dessert is definitely worthy of your Valentine’s Day table. It is perfection with a few scoops of vanilla ice cream piled on top. No need for bowls with this one. 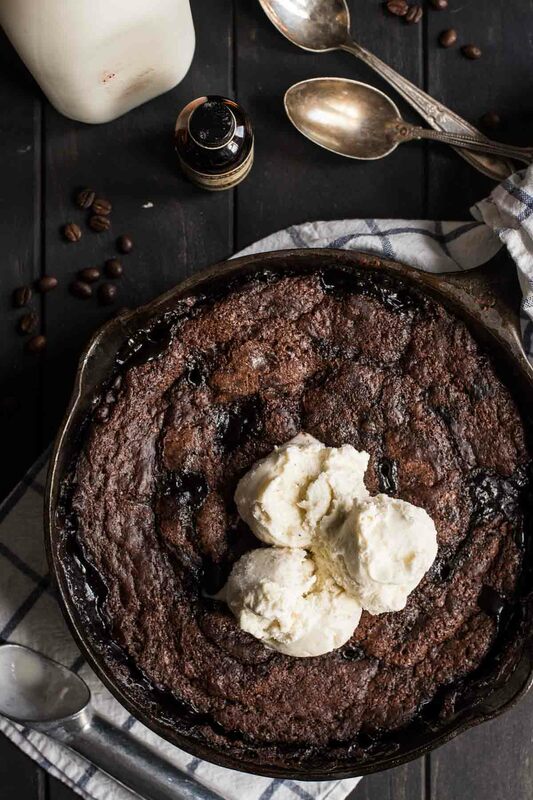 Just grab your Valentine and a few spoons, cozy up to the skillet, and dive in! Preheat the oven to 350 degrees. Grease an 8 x 8 inch baking pan.or 8 inch cast iron skillet. 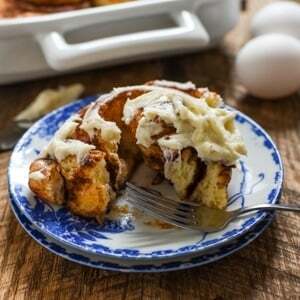 In a bowl, whisk together the flour, sugar, 3 Tablespoons of the cocoa powder, baking powder, and salt. In another bowl, whisk together the coffee extract, vanilla, milk, and butter. Add the butter mixture to the flour mixture and stir to combine. Spread the cake mixture in the prepared pan. Combine the brown sugar and remaining 4 Tablespoons of cocoa powder. Sprinkle over the cake batter. Spread the chocolate chips over top. Pour the hot coffee (or water) over top of the cake. Do not stir. 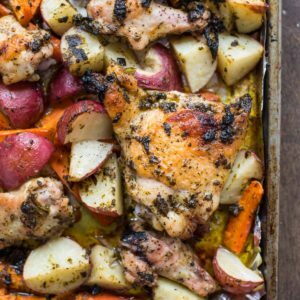 Place the pan in the oven and bake for 40 minutes or until the mixture is bubbly with some parts that are set. There will be some molten chocolate parts that will remain liquid. Serve warm with vanilla ice cream. This post was developed in partnership with Nielsen Massey Vanillas. As always, all opinions are my own. Awe, I have no doubt that motherhood is bittersweet. <3 As for this dessert, I like the sound of the balance because I also don't like overly sweet. Pinning! Motherhood sounds like a ton of work, but it definitely sounds like a wonderful and rewarding journey. This cobbler is so beautifully styled and photographed that I want to grab one of those spoons and start indulging. 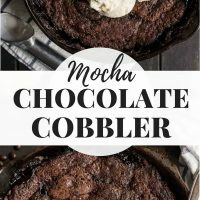 I’ve actually never heard of chocolate cobbler, but I am so intrigued by the hot water technique. It sounds so strange, but obviously, the results are worth it. Also, you’re rocking this working mom thing, friend. You got this. I’m not familiar with this technique but I really want to try it! Those rivers running through the cobbler have me wanting to dig in so badly! Was intrigued by title but see that it is just another name for the old chocolate pudding cake. The addition of coffee sounds interesting, though. OMG I’m drooling. Big time. This sounds amazing and the photos are freaking GORGEOUS! I’ve been making a version of this since the late 80’s called chocolate sludge. A fitting name since that’s exactly what it looks like!! As weird as it looks it is divine especially warm with a good vanilla ice cream.